Environmental surveillance is an effective approach to investigate the circulation of human enteroviruses (EVs) in the population. EVs excreted by patients who present diverse clinical syndromes can remain infectious in the environment for several weeks, and limited data on circulating environmental EVs are available. 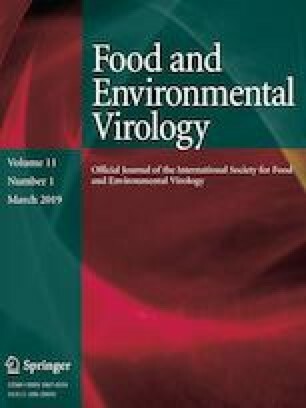 A 6-year (2009–2014) surveillance study was conducted to detect non-polio enteroviruses (NPEVs) in the urban sewage of Cordoba city, Argentina. Echovirus 6 (E-6) was the most prevalent (28%), followed by E-14 (17%), E-16 (14%), Coxsackievirus (CV) A9 (11%), E-20 (9%), and CVA24 (6%). Other minority serotypes (E-7, E-13, E-21, E-25, and CVB4) were found, which together represented 14% of the total. In the absence of a systematic EV disease surveillance system, the detection and characterization of sewage-borne NPEVs will help us better understand the changes in EV disease trends and the epidemic background of circulating EVs, which could help interpret the EV trends and warn of future outbreaks in this area. AAF conceived and designed the experiments, LNM, FSF, and JJA, performed the experiments and analyzed the data. VEP, GM, and SVN contributed materials/analysis tools. AAF wrote the paper. This work was supported by SECyT Cat B 1565/2014 and PICT-2016-2165. On behalf of all authors, the corresponding author (Dr Adrian A. Farias) states that there is no conflict of interest. WHO. (2003). Guidelines for environmental surveillance of poliovirus circulation. Geneva: World Health Organization. http://www.who.int/iris/handle/10665/67854. Accessed 18 Nov 2015.